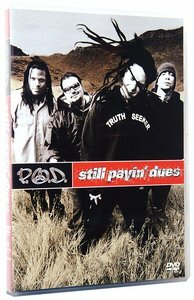 With stacks of live and backstage footage, all of their video clips and some great interviews, this is the ultimate DVD for P.O.D. fans! Videos include 'Southtown', 'Rock the Party', 'Alive', 'Youth of the Nation', 'Boom', 'Selah', 'School of Hard Knocks' and many more. Look out for a new album late 2003!